Just as having a clean and neat home is important for well-being, so is having a clean and neat personal appearance. This is especially true for the seniors who may struggle with keeping up with personal hygiene and care. Laundry assistance is one way to provide the help seniors need to keep up their personal appearance. 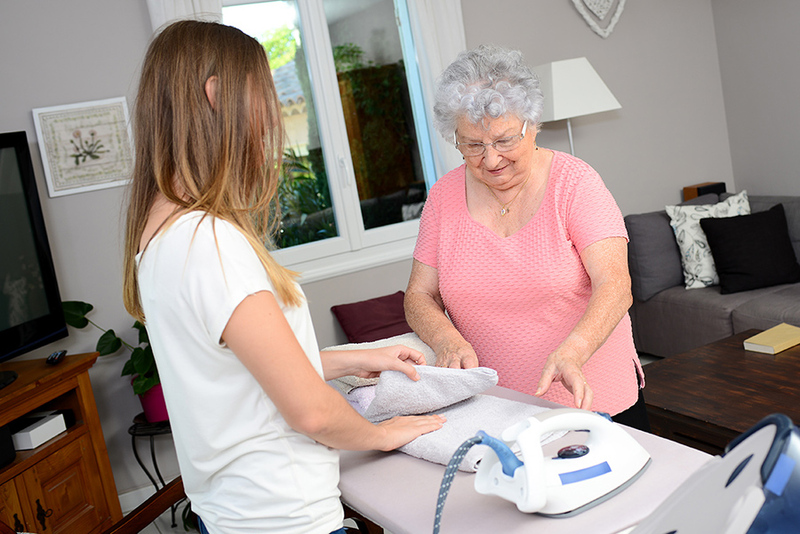 Our in-home caregivers can help you or your loved one with chores such as handling laundry loads, folding and ironing clothes. Laundry tends to pile up and become overwhelming at times for anyone. This can become a bigger challenge for the elderly. Let Home Care Powered by AUAF caregivers take on the task and take the load off your shoulders. Our core mission is to ensure our clients’ healthy lifestyle and well-being. Call us today at 877-947-2685 and ask how Home Care Powered by AUAF can help with your laundry needs. Our staff is fluent in English, Assyrian, Arabic, Russian, Persian and Armenian. To learn more about Home Care Powered by AUAF call 773.274.9262.